Journalists’ Forum Assam (JFA) strongly condemns the murder of a senior journalist based in Junagadh of Gujarat and asked the authority to nab the perpetrators and deliver justice to the victim family. The forum expressed shocks that the miscreants had entered to the bureau office of Gujarati newspaper 'Jai Hind', where Kishore Dave was working on Monday night and stabbed him to death. 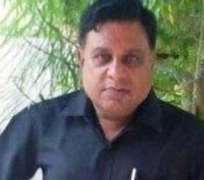 Dave, 53, was reportedly alone at the bureau office of the Rajkot based newspaper at that moment and he died on the spot. There was no security camera in the one-room office, where an office assistant found Dave’s body lying on the floor. “We have lost now four journalists this year (nine since Jan 2015). How may scribes have to die to compel the Union government to formulate a national action plan for safeguarding the media persons across the country,” said a statement issued by JFA president Rupam Barua and secretary Nava Thakuria. The first incident of journalist murder this year took place in Uttar Pradesh, Tarun Mishra of Hindi daily ‘Jan Sandesh Times’ was shot dead on 13 February. The second casualty was reported from Jharkhand, where a local TV news reporter named Indradev Yadav of Taaza News was shot dead on 12 May. The third news of journalist murder broke from Bihar, where unidentified gunmen shot Rajdeo Ranjan of ‘Hindustan’ to death on 13 May. India lost five journalists namely Jagendra Singh from Uttar Pradesh, Sandeep Kothari (Madhya Pradesh), Raghavendra Dube (Maharashtra), Hemant Yadav (Uttar Pradesh) and Mithilesh Pandey (Bihar) to assailants last year. Shockingly, no one has been convicted in all these cases.